How does the test work ? 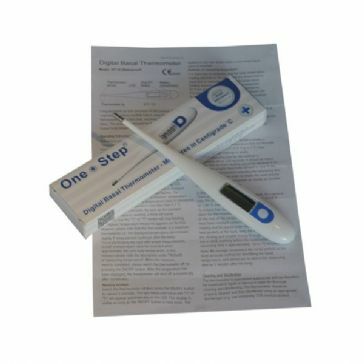 A Pregnancy Test detects the presence of HCG (Human Chorlonic Gonadotrophin) in your urine. HCG is produced shortly after the embryo attaches itself to the uterine lining. Day by day the amount of HCG in the body will increase, as the pregnancy progresses. How do I use the test ? We recommend that you test first thing in the morning, and that you do not drink lots of fluid beforehand as this couldl dilute the urine sample, and make the HCG more difficult to detect. Collect a sample of urine in a clean dry container. Dip the test into your urine sample for 10 seconds. Lay the test flat, and wait for the coloured bands to appear on the test strip. A positive result can normally be observed within 40 seconds, and the final result in under 5 minutes. Full instructions on how to use the tests will be sent with every order. If the second line is fainter than the control line, this is still indicating a positive result. If you are testing early, the second line will darken over time, as the HCG builds up in the body. Clearblue Plus Pregnancy Test has been designed to offer you the easiest pregnancy testing experience, with the accuracy you expect from Clearblue - it's as accurate as a doctor's urine test. Its revolutionary design came after extensive research with women and even won a Red Dot Design award in 2012. Ultra Early Pregnancy Midstreams - Now 10mIU Sensitivity ! Easy to use Ultra Early Pregnancy Midstreams. Available in packs of 2, 3, 5, 10, 15, 20 and 25. Test in the comfort of your home - Great Value ! How does a basal digital thermometer help? Basically there is a slight temperature drop just before ovulation occurs and then a distinct temperature rise of about 0.40 to 1.0 degrees Centigrade after ovulation takes place. By plotting your temperature change during your cycle you will know when you have ovulated.